Poor things...not to sound cocky...but what would they do without me! I mean, they're helpless!! We're definitely on the UPSWING!!! 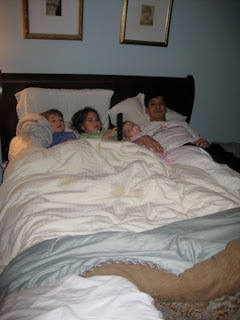 These are the times when you need a King size bed...or at least that's how I feel when we all pile in our queen! I'm glad you guys are all on the upswing!